During this 06-day Southern Vietnam Tour, you will see the best of this region where the beauty of nature, people and life are fused. 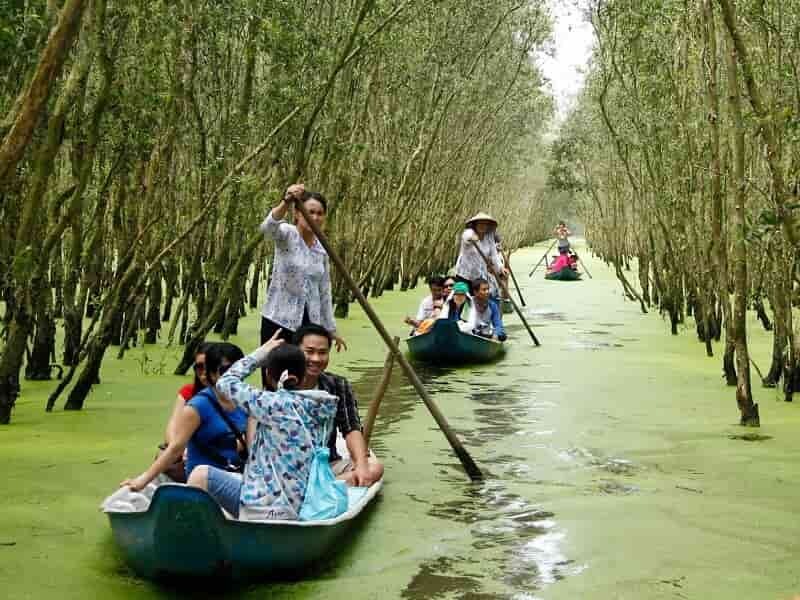 You will visit all the top highlighted attractions such as the chaotic biggest city of Ho Chi Minh, immense networks of underground, Cu Chi tunnels, and have interesting experience with boat trips to discover floating markets in Mekong Delta. You also have chance to explore the unique religious building of Cao Dai Temple and visit the charming border town of Chau Doc. Let join us now for a lifetime experience. 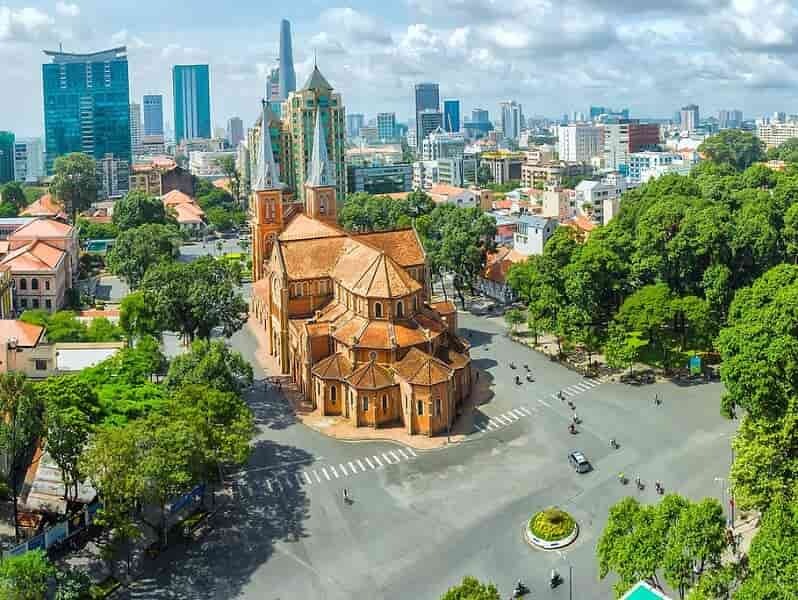 Upon arrival in the bustling HO CHI MINH CITY (HCMC), still called “Saigon” by many locals, our Asia Senses tour guide will welcome you at the airport and then provide a transfer to the hotel for check in. After a short break, take a half day sightseeing tour in Ho Chi Minh City, Vietnam’s largest city. Start our tour with a visit to Reunification Palace which was the base of Vietnamese General Ngo Dinh Diem and the following presidents of the Republic of Vietnam until April, 30th 1975. We also pay a visit to the City Post Office and Notre Dame Cathedral. They were built more than 100 years ago and are two of the most famous and oldest of classical French colonial architectures in Saigon. 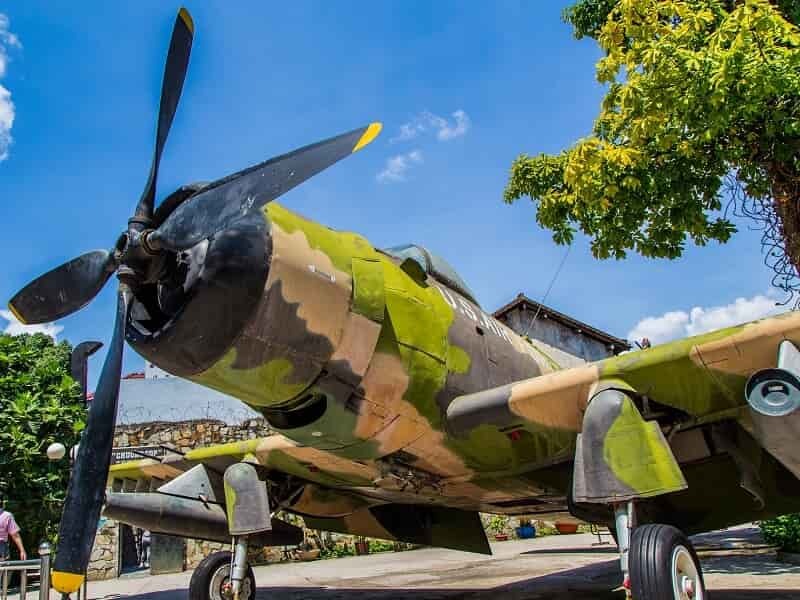 The visit to the War Remnants Museum will give you the opportunity to learn Vietnamese history and to learn from a different perspective of Vietnam War. 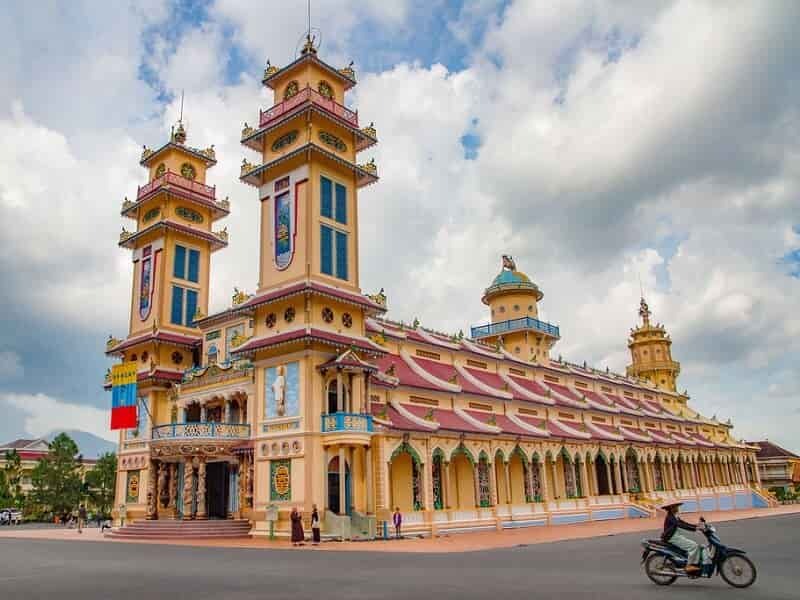 This morning, your driver and guide transfer you to TAY NINH, border province between Vietnam and Cambodia. After 2-hour drive, arrive to visit Cao Dai Temple, the sacred temple of Caodaism. Caodaism is a syncretist Vietnamese religious movement that incorporates aspect of Buddhism, Taoism, Confucianism and even Catholicism. The visit helps you gain more insights into Vietnamese religions. Afterwards, travel to the history Cu Chi Tunnels. 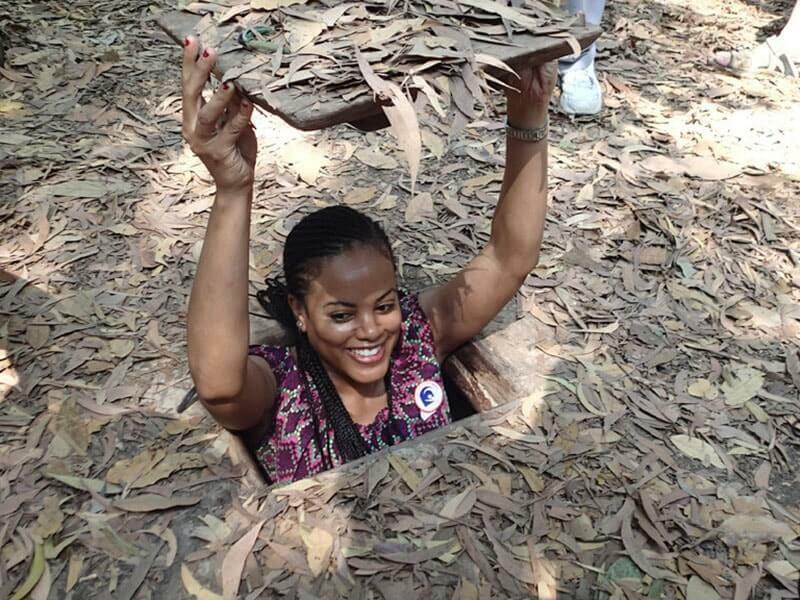 Here you can go underground to explore the vast network of tunnels and hideouts used by Viet Cong guerrilla fighters, see booby traps, trap doors. During the visit, you can enjoy some local specialty fruits. After visiting the Cu Chi Tunnels, have lunch then transfer back to your hotel in HCMC. OPTIONAL: It is possible to experience to test your skill with an AK 47 at the on-site shooting range (at additional cost). In the evening, free at your own leisure to explore the city on your own. 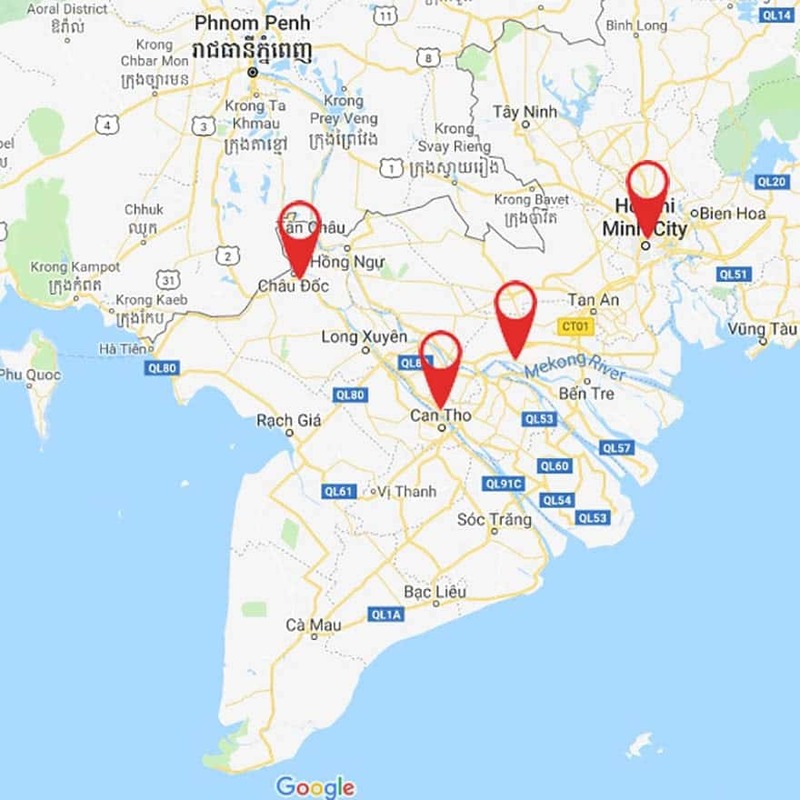 You may want to go to the western streets of Bui Vien or De Tham, then sample delicious street food, or enjoy local music and chat with your new friends. After breakfast, we depart HCMC for CAI BE to attend the famous Cai Be Floating Market. On the way, you can see the endless green or yellow paddy rice field on the both sides of street. On arrival, embark on a motorized boat to visit the floating market and experience how locals exchange goods, fruit and many other commodities on their vessels. Voices of people bargaining mixed rowers' singing and sound of paddle boats, which make living of local people become lively. We keep cruising through small canals to enjoy the charm of the upper Mekong Delta and visit the An Binh Island where you can taste all kinds of the best fruits in the orchard. There is also a chance to visit a cottage factory where ‘pop-rice’, rice paper and coconut candies are made. Enjoy folk music performed by local people before a transfer to CAN THO. 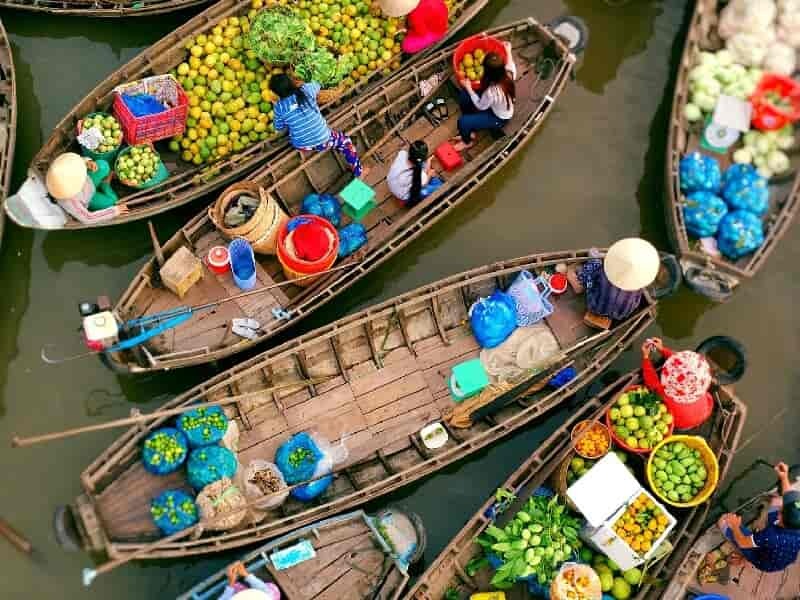 Wake up early this morning then board a boat to visit the fascinating Cai Rang Floating Market, the largest of its type in the whole Mekong delta. 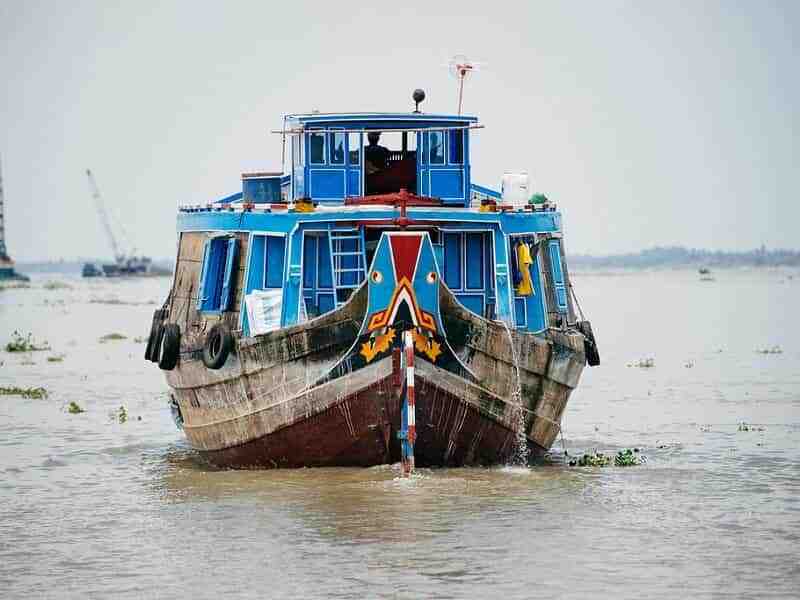 Watch the beautiful scenery and observe the daily activities of the locals who live along the Mekong canals. After that, continue on a riverine route for 5-7 minutes and then on foot for about 5 minutes to a local village then see a noodle factory. See how Vietnamese vermicelli soup is made. Continue wandering around the village and meet the friendly local people. Test your skill passing a bamboo-made bridge so called "monkey bridge". Have your lunch at a local restaurant before heading to Chau Doc. On the way, make a stop at Long Xuyen to visit Crocodile Farm. Upon arrival in CHAU DOC, visit the Sam Mountain to enjoy the breath-taking views of surrounding areas. Sunset view from the top of the mountain is really worth a visit. 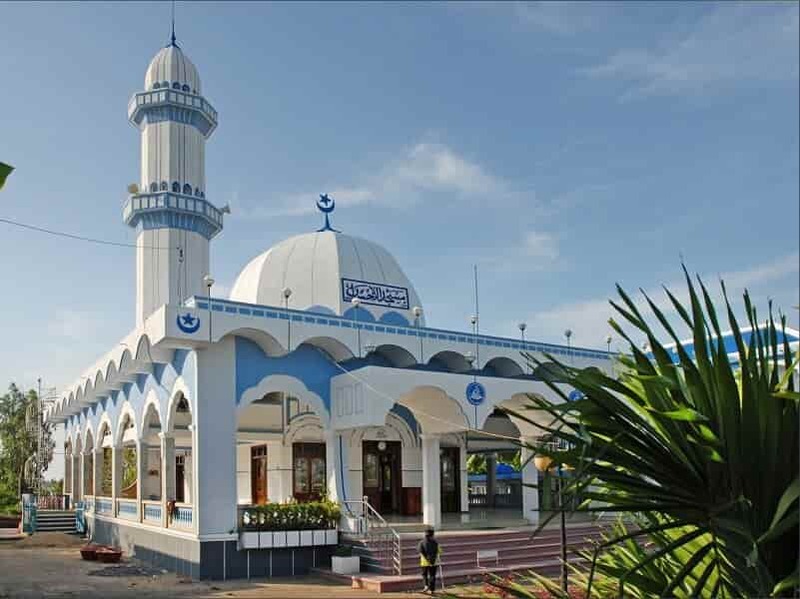 In the morning, start our Chau Doc tour with a visit to a traditional weaving village of the Cham minority, followed by a local Islamic Mosque. Our next stop is Tra Su Forest, a great place to visit when in Chau Doc. Flooding season (August to November) is the most appropriate time to come this melaleuca forest. During the visit, you have a chance to enjoy precious moments living in harmony with nature as well as the wholesome atmosphere. This ecological spot is the habitat of many genera of water birds (mostly storks), colonies of bats and various rare animal and bird species. Have lunch at local restaurant then return to Ho Chi Minh City. Free at leisure for the rest of the day. 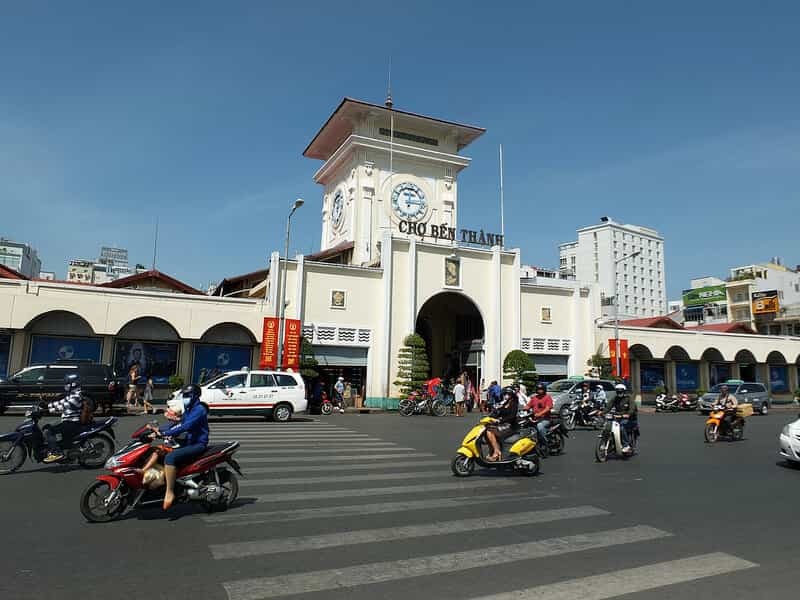 In the evening, perhaps pay a visit to Ben Thank Market, a must-see attraction of the most dynamic city of Vietnam. Here, you can sample seafood and enjoy cool beer at cheap price in sidewalk restaurants around the market. Besides food, you can find here variety of eye-catching local handicrafts, and souvenirs. You are free at leisure until your driver transfers you to Tan Son Nhat International Airport for your departure flight. End of our services.